Accessing the deep release and openness that hip rotation requires is a unique combination of anatomical knowledge and inner peace. Join this class to learn the right information and, more importantly, the right frame of mind to hip opening from. 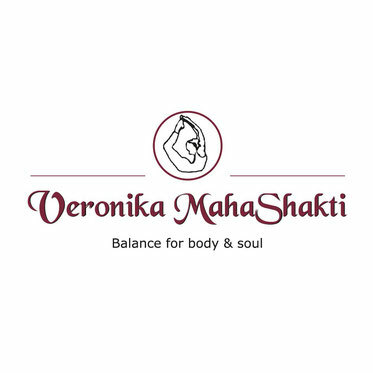 Gain access to the deep muscles within the pelvis and learn to relax and release your hips. Be ready for a deep journey into the inner body complete with a detailed muscular and skeletal technique and the subtle body of emotions and energy. Learn how to create the safe space of patience, kindness and tolerance in the deepest regions of the pelvis and watch your hips open. No matter how long you practice handstand is a benchmark of strength and steadiness that transcends physical disciplines. From yoga to martial arts to gymnastics a stable handstand is the key test of alignment and mastery. The only thing you need to join this class is a love of handstands. Whether you are a total beginner or have a stable handstand you will learn tools to build strength and alignment while balancing on your hands. Leave with a strength building program that you can do every day to develop the physical and emotional strength to support your handstanding journey. If you enjoy a challenge but think you are too stiff to ever bend your back then this is the perfect class for you. By understanding how to work your body in a safe way you will learn what it takes to really bend over backwards with no fear. The secrets of deep backbends are available to you through the integration of sound anatomical principles, healthy alignment techniques and intensely fun stretches. The dynamic movement mechanics of bending your spine are the key to limitless flows of energy and in this class you will begin to explore you natural potential for deep backbends with safety, support and enthusiasm. Kino MacGregor und wir empfehlen dir auf jeden Fall alle Masterclasses zu buchen. Einlass ab 45 Minuten vor dem Workshop. Dein Platz ist mit Eingang der Gebühr sicher! Beide Sessions finden im wunderschönen Skyloftstudio, Taunusstraße 45 I MTC Haus 4, OG 5 I 80807 München statt. Komme am besten schon in Yoga-Bekleidung und nimm unbedingt deine Yoga-Matte mit. Vor Ort gibt es keine Yoga-Matten. Buche bitte unbedingt wenn du kannst beide Sessions - du wirst dich danach fühlen, als hättest du eine Woche Urlaub gemacht! Mehr zu Kino MacGregor hier!